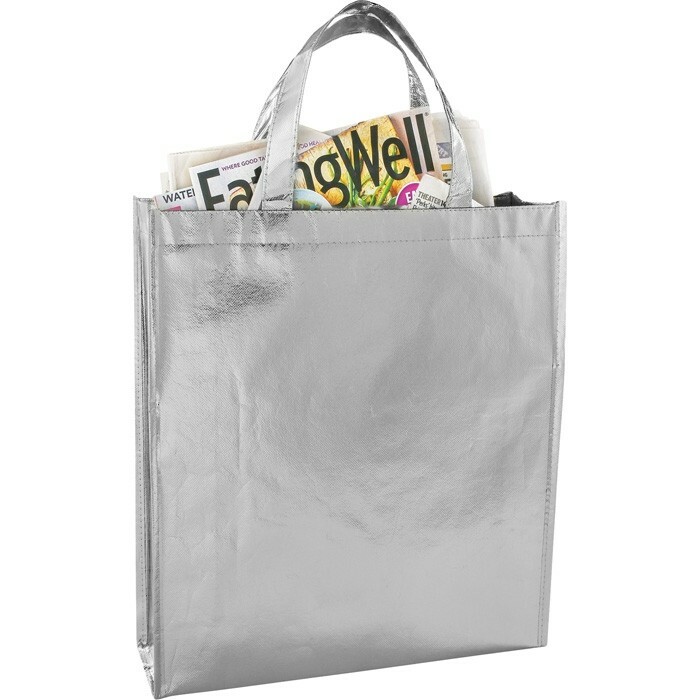 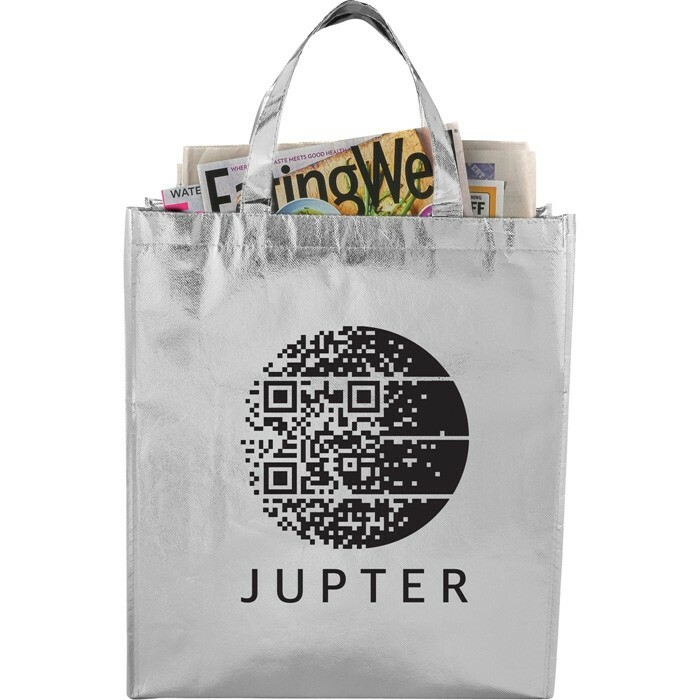 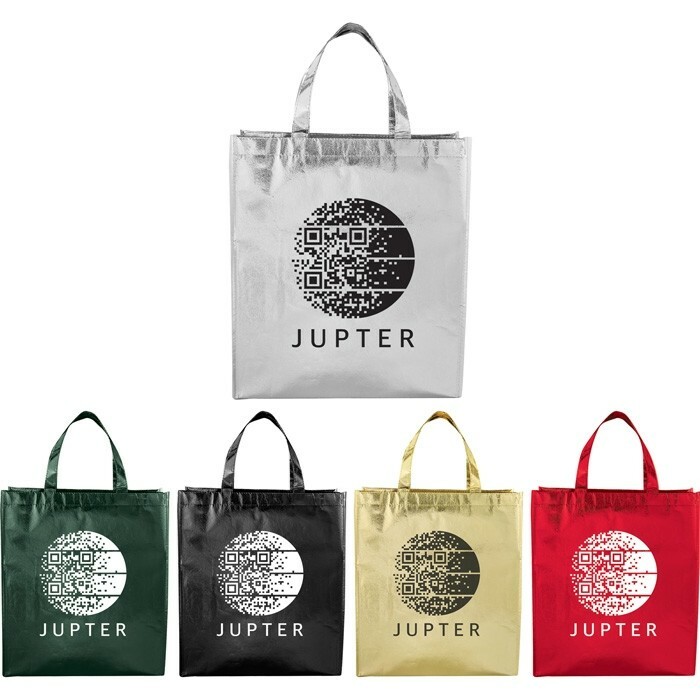 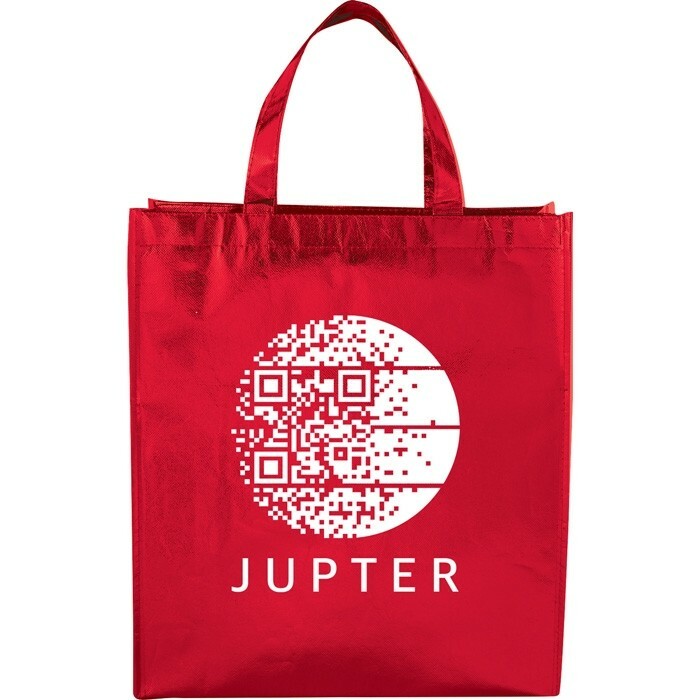 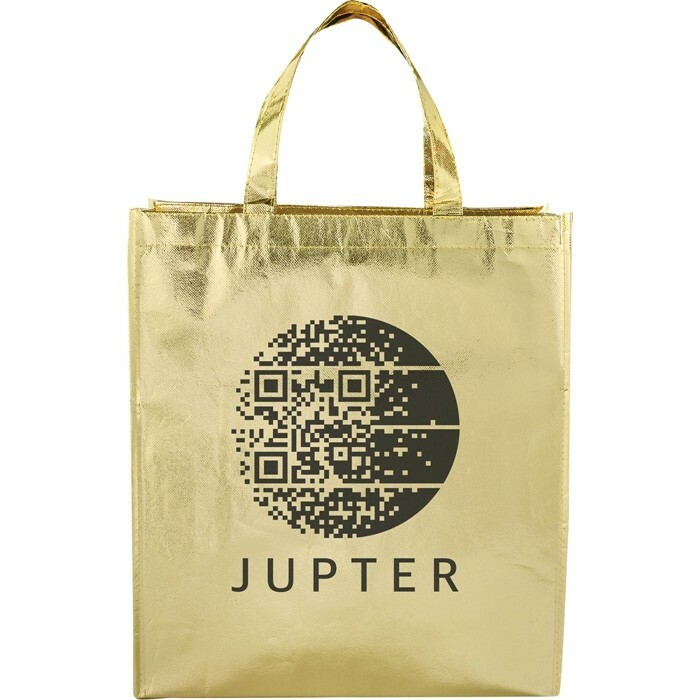 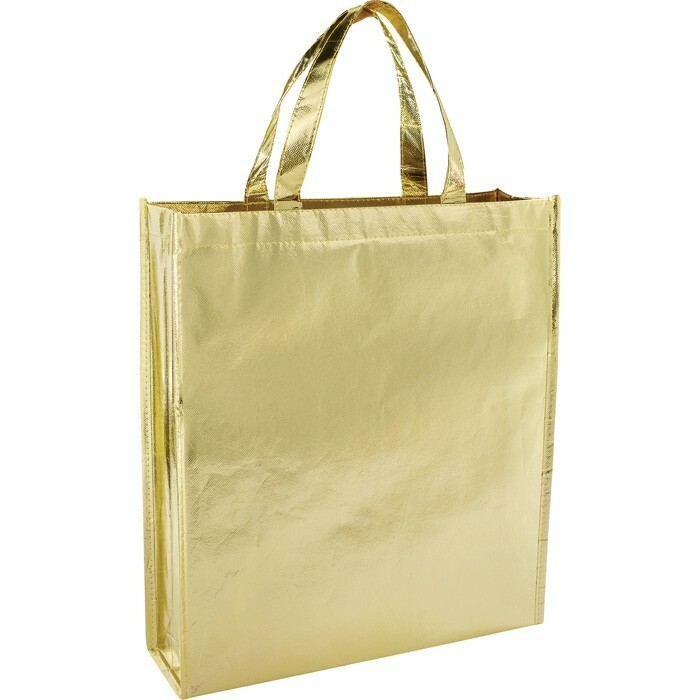 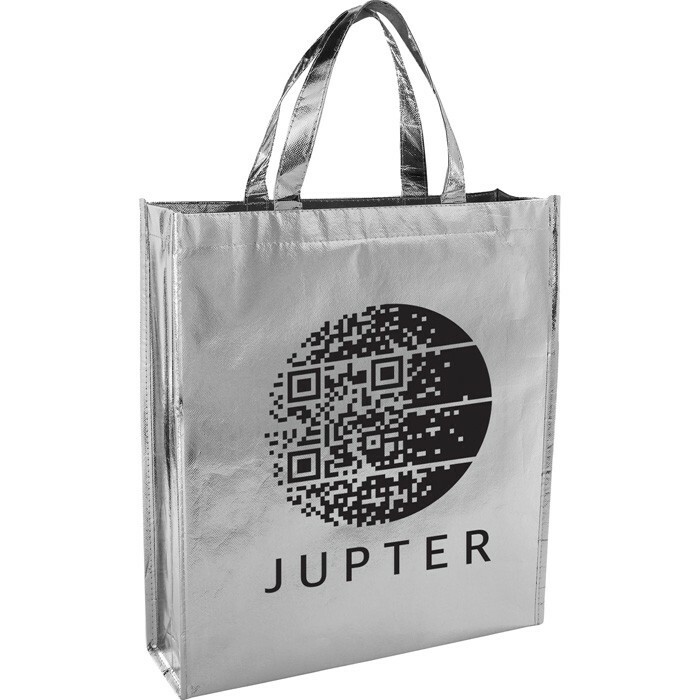 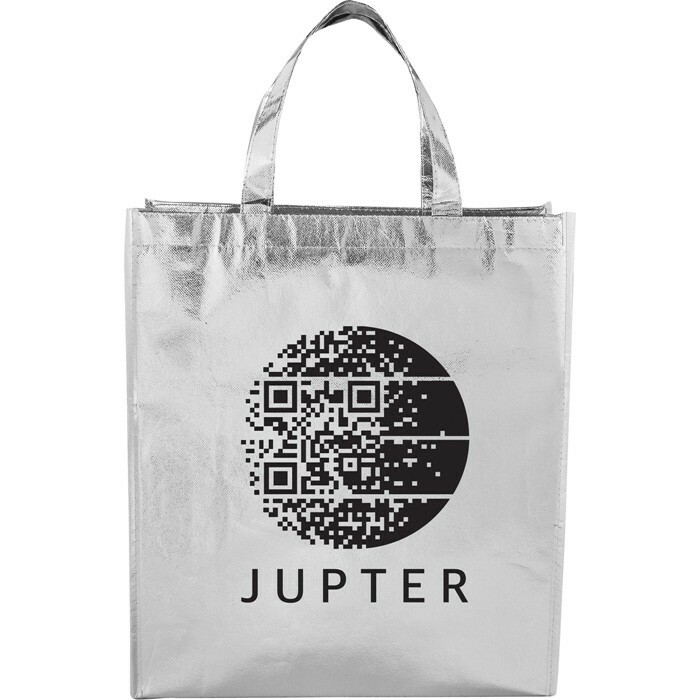 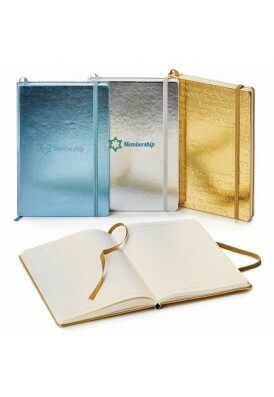 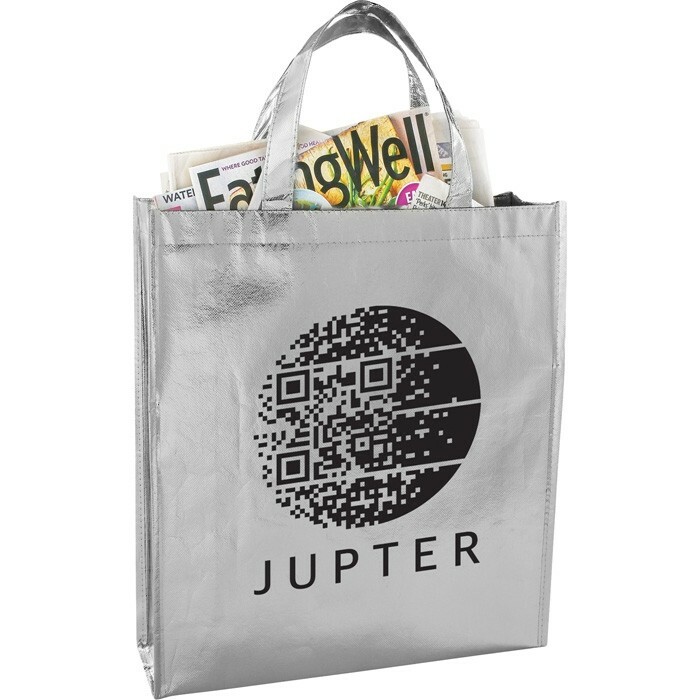 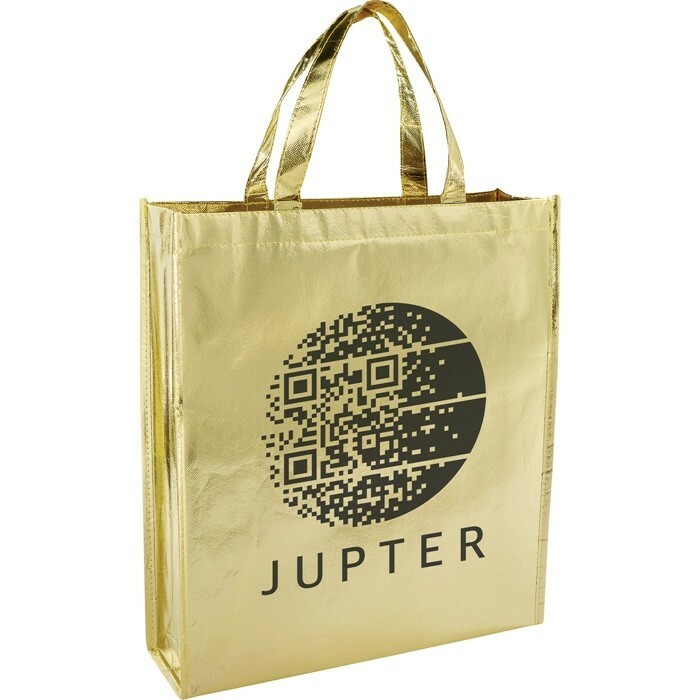 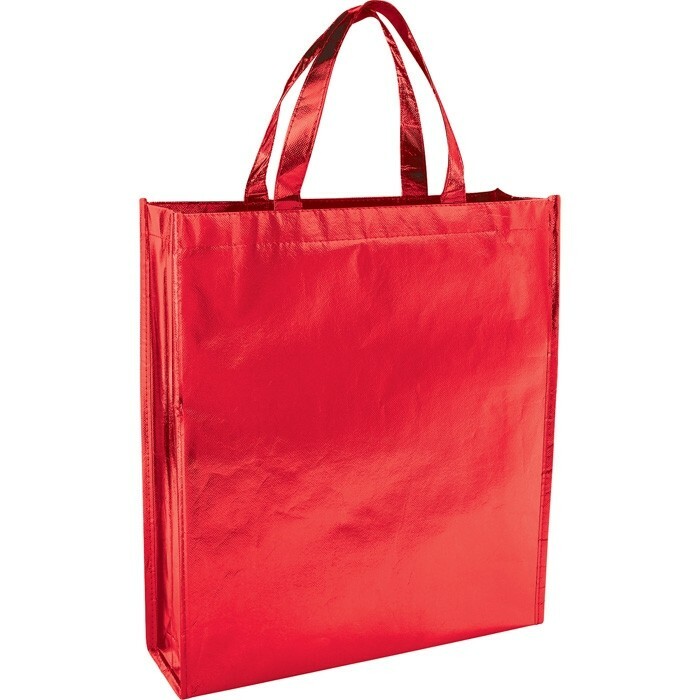 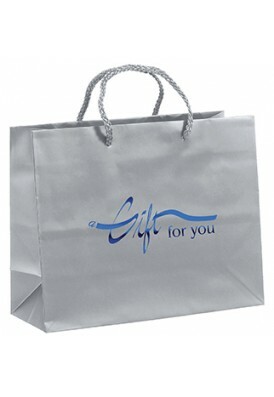 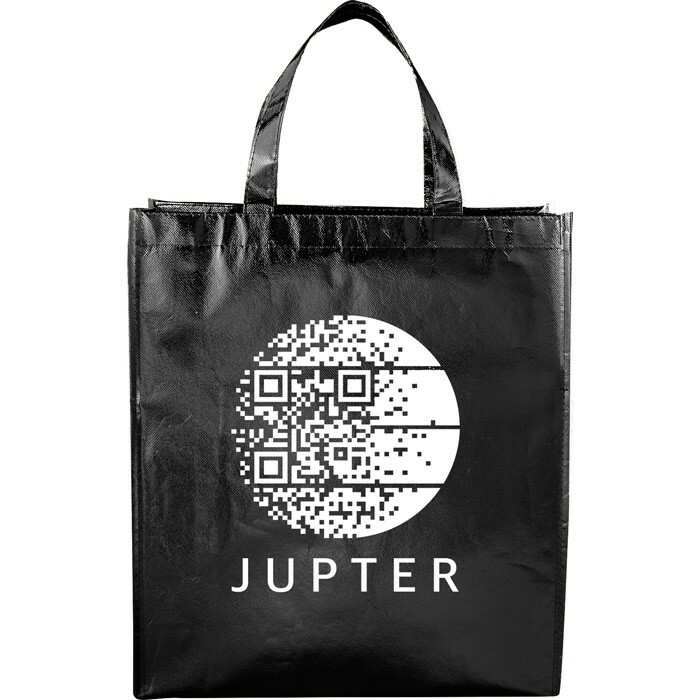 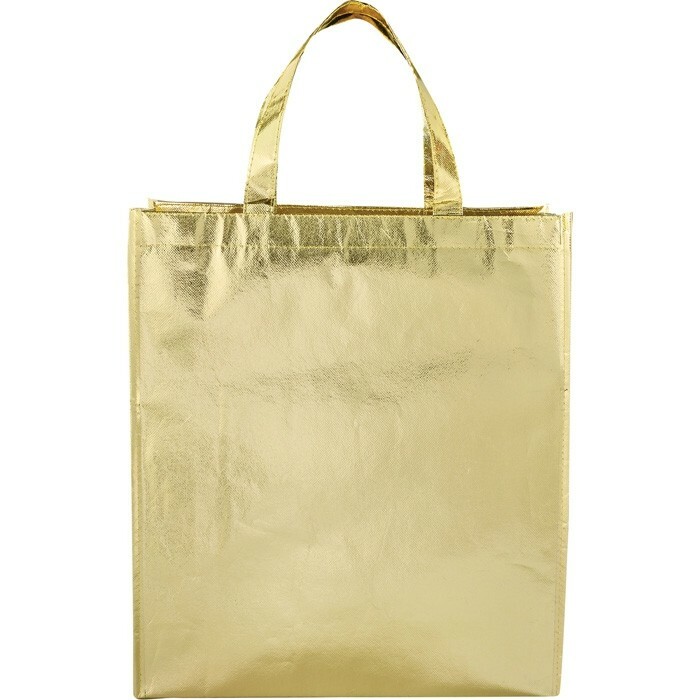 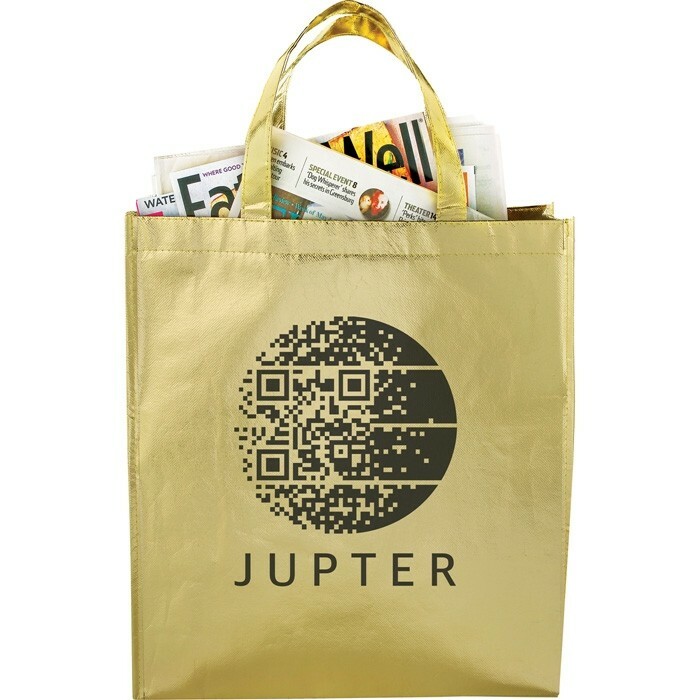 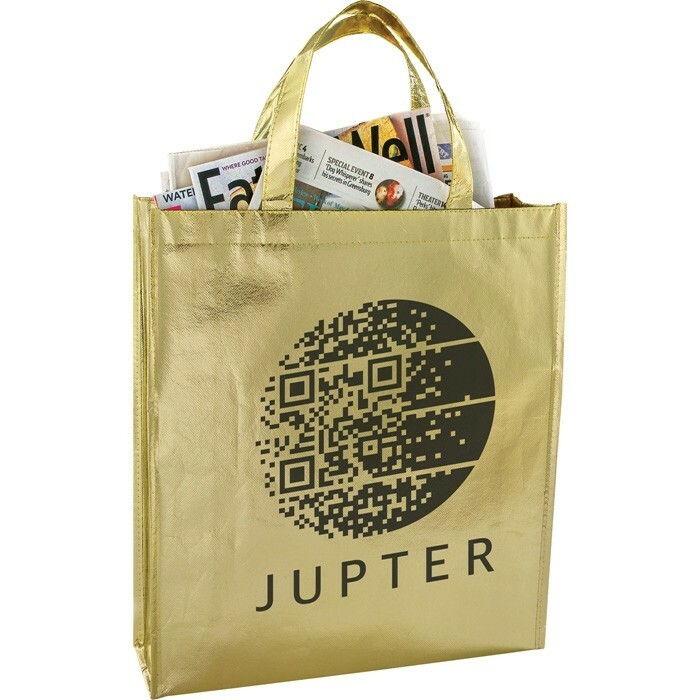 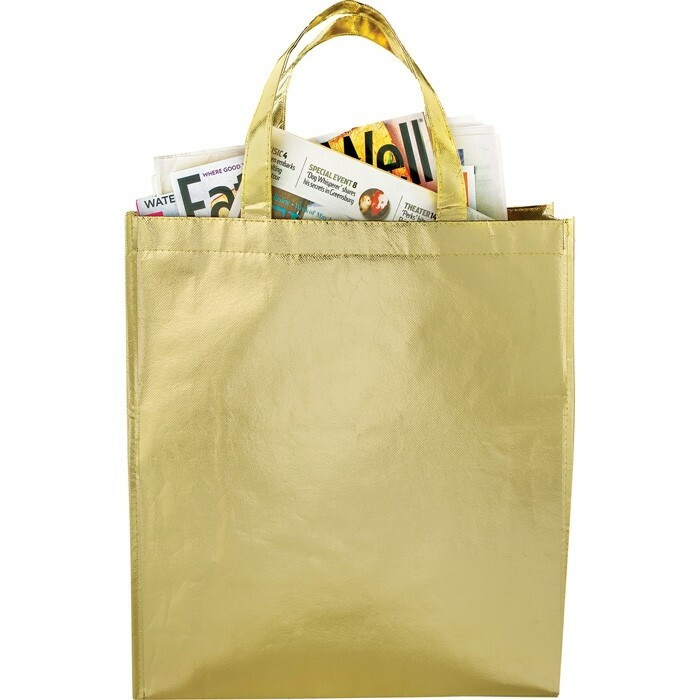 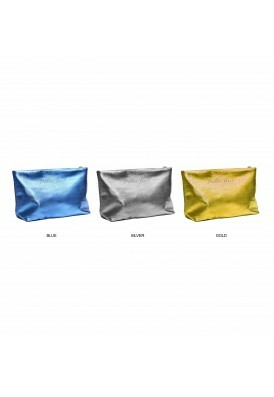 Get great style with this fun metallic gold, silver or other trendy color) bag in laminated material, to show off a brilliant, shiny side to your branding. 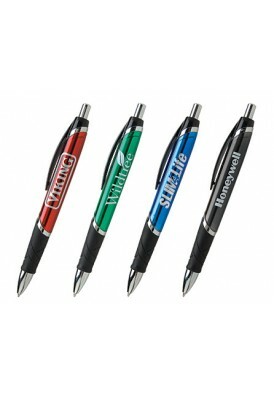 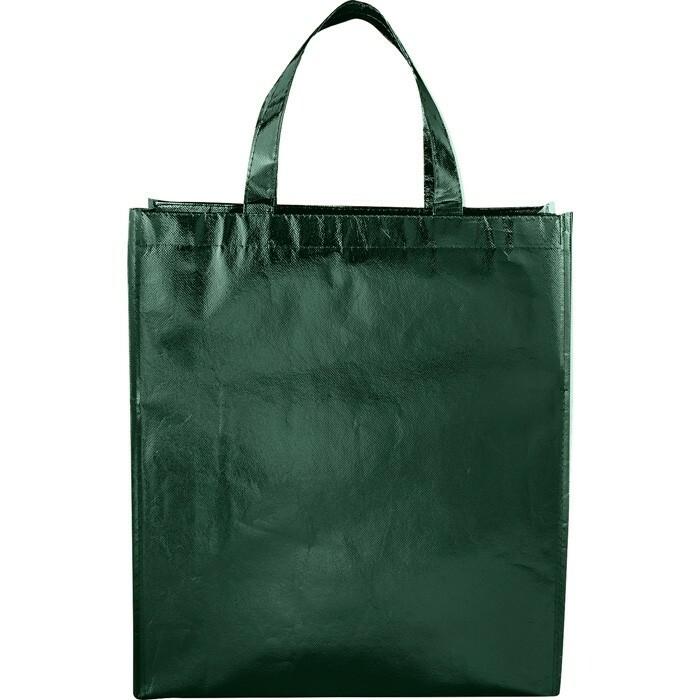 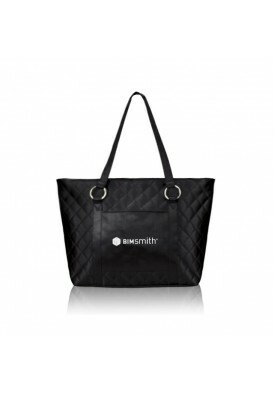 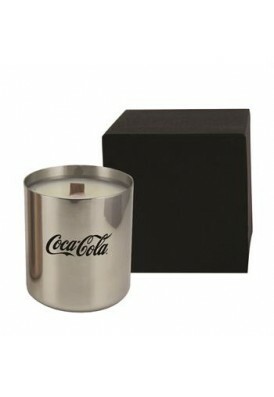 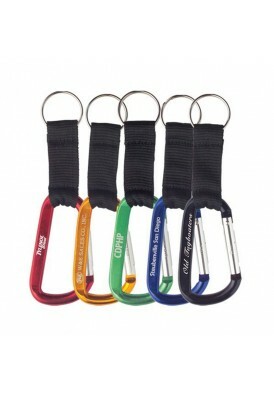 Features large open main body compartment, two handles, and great size for your personalized imprinted logo on front and/or backside. 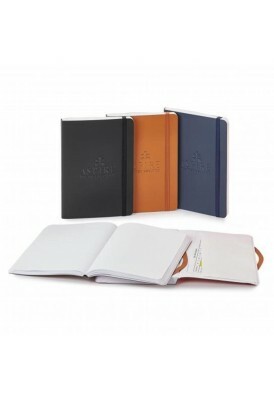 Great value Review by Franci J. 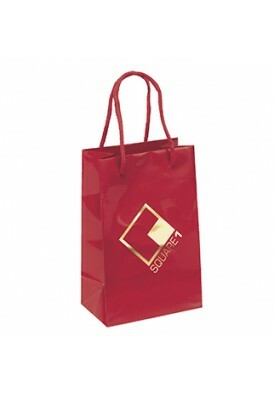 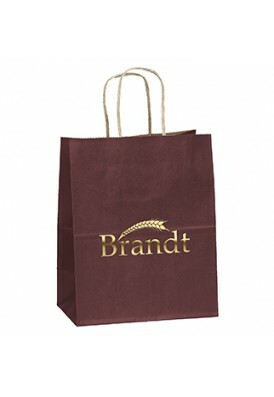 Our logo printed very well on the bag, and looked nice. 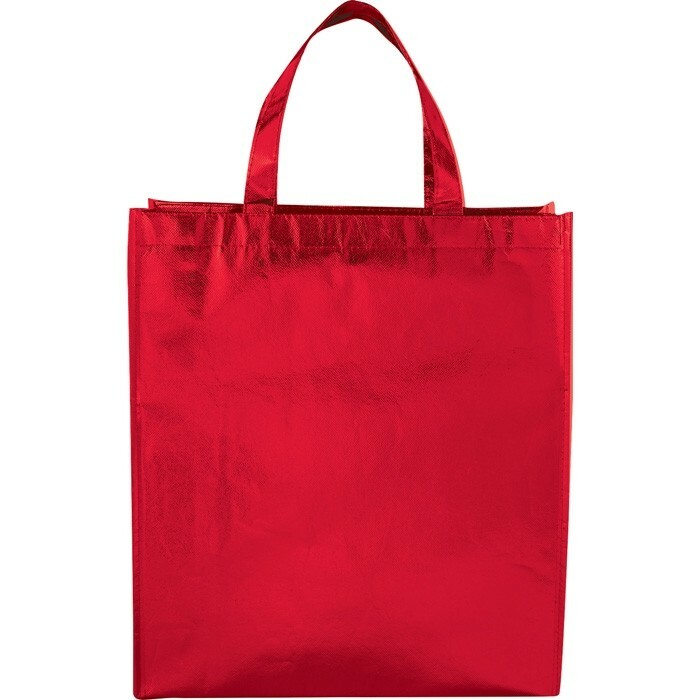 Overall a great value. 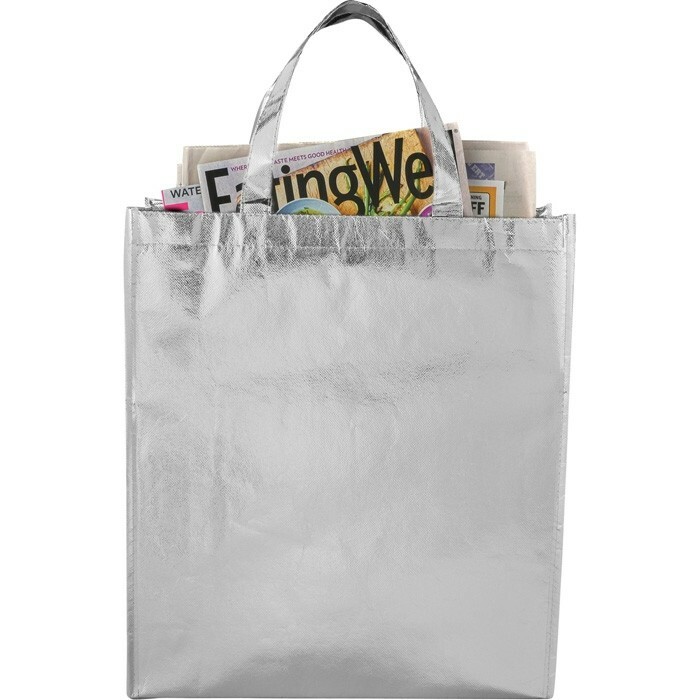 Bags looked awesome Review by Messy R.
Great quality with perfect laminated material! 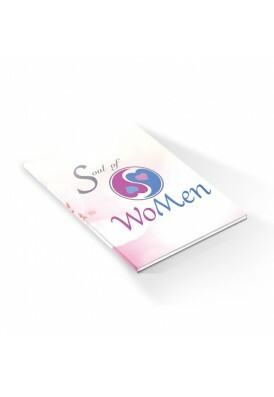 We were very happy for the imprint. 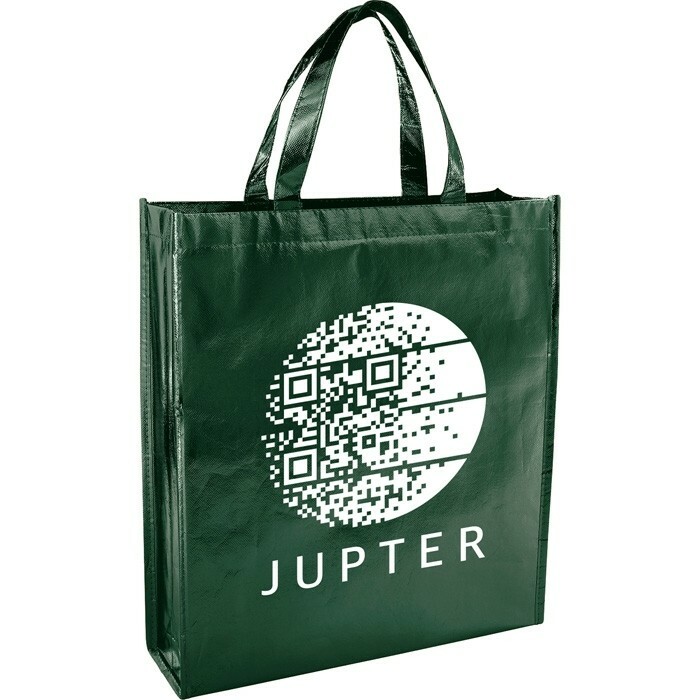 Hope to have another deal again.